Lubrication services are tailor-made to your needs, assessed following a careful on-site survey of your equipment and machinery. Consultations with equipment operators and maintenance personnel are done with reference to the original equipment manufacturers’ recommendations. We can offer a wide range of services from basic workshop lubricant dispensing equipment to a complete centralized bulk lubrication system comprising storage tanks, oil pipeline network, pumps, digital metering units and hose reels depending on the scale of your operation. Our team of experienced lubricant engineers are continuously working to improve the quality of our lubricant product line. In the recent times, we have developed a number of speciality lubricants including synthetic grades for automotive and industrial lubricants as well as food grade oils and greases for our agribusiness clients. Our Commercial Sales Function is responsible for sales of petroleum products to Industrial and Wholesale customers. These are spread over all segments of the economy and include manufacturing, tourism, construction, transport, agriculture, Para-government organizations; among many others. The principal products we distribute are Automotive Diesel, Fuel Oil and a wide range of lubricants for all applications. We also sell motor gasoline, Industrial Diesel Oil as well as Liquefied Petroleum Gas in both bulk and cylinders. The supply and trading function is conducted by MOGAS International Limited [MIL] which is located in United Arab Emirates [ UAE], Dubai at AG (Silver) Tower. 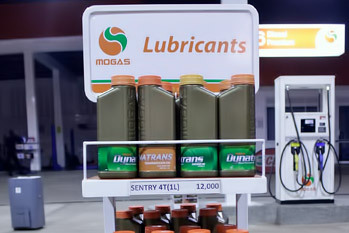 MOGAS has in recent years centralized the refined- products supply function, both to maximize economies of scale and, wherever possible, to optimize deliveries to group companies in accordance with their requirements. The vehicle for this activity is MOGAS International Limited which, in the short time since its formation, has managed to establish a reputation for itself in the international products markets. We are pleased to announce our recent commencement of Jet A-1 fuel supplies, both into-plane & bulk at Entebbe International Airport, Uganda. 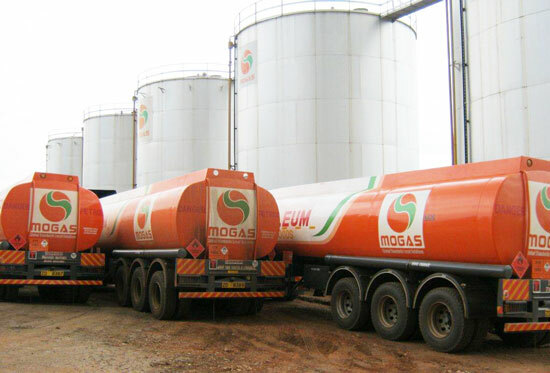 MOGAS Uganda now has stocks of bulk Jet A-1 at Entebbe airport with readiness to offer into-plane aviation fuel sales at competitive prices 24/7. We are already refuelling some of the top airlines and charter companies in Uganda and therefore look forward to being your No. 1 partner of choice for your Jet A-1 refuelling needs at Entebbe International Airport. Storage services offered by MOGAS are commonly known as Hospitality which refers to rental charges for storage of product belonging to both MOGAS affiliates and third parties. The rentals are charged at an agreed rate per cubic meter (or one thousand liters). Hospitality services are offered by MOGAS Tanzania and MOGAS Uganda and help these entities in maximizing the capacity utilization of the terminals by increasing the through-put. MOGAS innovative solutions to mining customers challenges and needs, and value-added services are hugely beneficial to their operations, and enable them to realize significant capital gains. High performance engine oil, circulating oil and hydraulic oils bearing lubrication and torque convertors. Offering on-board delivery, lubrication system set-up for diesel engine oil. The delivery set-up includes a system of nozzles and hoses piped through so that the loaded vehicle can get out to the equipment. Customers get advantage of management of lubricant consumption to control cost; eliminates lubricant contamination, which could contribute for major cause of equipment failure. A range of customized value-adding services – including in-depth technical assistance relating to fuels and lubricants, and to the optimal usage of machinery, offering sound advice for selecting the products best-suited for the applications. 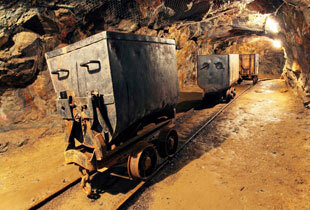 Customer benefit through reduction of inventory costs and wastes and increase in productivity. Working with centralized lubrication system offers manufacturers a wide range of system types and designs to meet the needs of practically any mining application. This means the customer is able to reduce Total Cost of Operations with our competitively priced industry- leading lubricants and clean fuels – meeting the precise needs of mining equipment. Oil analysis program, includes Oil Condition Monitoring (OCM) and Equipment Condition Monitoring (ECM). ECM will fit in the condition based maintenance of the mining industries to increase mean time between failure (MTBF) and mean time to fail MTTF ). In the OCM analysis the equipment current condition will be traced to pick operational wear and tears, unexpected part damages, fuel dilution in the engine lubricants, and so on, thus the customer will get a direct advantage of knowing the right time to drain the oil, which will be an extension of drain time interval where customer benefits from direct cost of lubricants, and also saves the machine before severe damage on its parts. Reliable, on-time, in-full supply of fuels and lubricants, even to remote locations. Dedicated storage and distribution terminals on customers’ sites, ensuring ongoing supply and security stock. At MOGAS, HSSE (Health, Safety, Security, Environment) is part of the business and our customers will benefit from our safety practices.